Molson Coors Brewing Company has appointed BCD Meetings & Events (BCD M&E) as a preferred partner to support the company with a variety of events, incentives and venue sourcing. The partnership comes after a multiple-agency pitch in which BCD M&E showcased its capabilities. There are already several projects underway, including a large promotional campaign for Carling. Molson Coors recently announced that it had awarded Yorkshire-based agency XSEM a three-year contract to handle its meetings and events remit, including briefs for the Premier League season after Carling was named as one of the football league’s new partners. 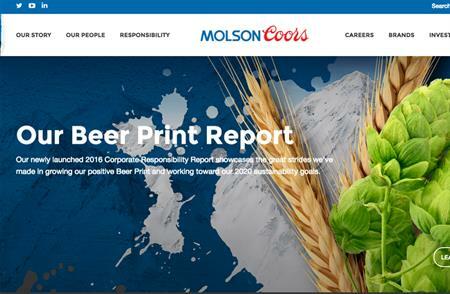 Commenting on the appointment, senior category manager from Molson Coors, said the agency provided an innovative and a proactive approach to account management, whilst focusing on cost savings. "We are excited with the new partnership and like most companies our challenge is to keep delivering amazing events for our staff and customers and we believe BCD is the right partner to take us to the next level." Anthony Coyle-Dowling, senior director, BCD M&E, added: "We are delighted to be working with Molson Coors and as a partner we are looking forward to demonstrating our flexible approach as an events specialist." BCD M&E has recently strengthened its position in the UK market with the acquisition of Zibrant, and is aiming to grow on a local and global scale.